Abstract：Three species of Gekkonidae were found from Yongxing Island during a herpetological survey in December, 2017. According to their external morphological characterisctics and comparison with the specimens from Sanya, Wanning, Qionghai and Haikou cities throughout Hainan Island, they were identified as Gehyra mutilata, Hemidactylus bowringii and H. frenatus. G. mutilata and H. bowringii were found in the island of South China Sea for the first time. G. mutilata is native to southeast Asia and is widely distributed throughout Sri Lanka, Burma, Malaysia, southeast China, The Philippines, Indonesia, New Guinea, French Polynesia, Pitcairn Islands, Mascarenes and Seychelles, western Mexico, Maui, Hawaii. H. bowringii is native to south mainland, Taiwan, Hainan and Hong Kong of China, as well as Vietnam (including Hon Thom Island and Ku Lao Pan Jang Island), Myanmar, Nepal, Bhutan and Japan (Pyukyu Islands). As the largest innate island in South China Sea, Yongxing Island is more than 2 km2 in area and about 330 km and 410 km far from Sanya and Haikou cities of Hainan Island. 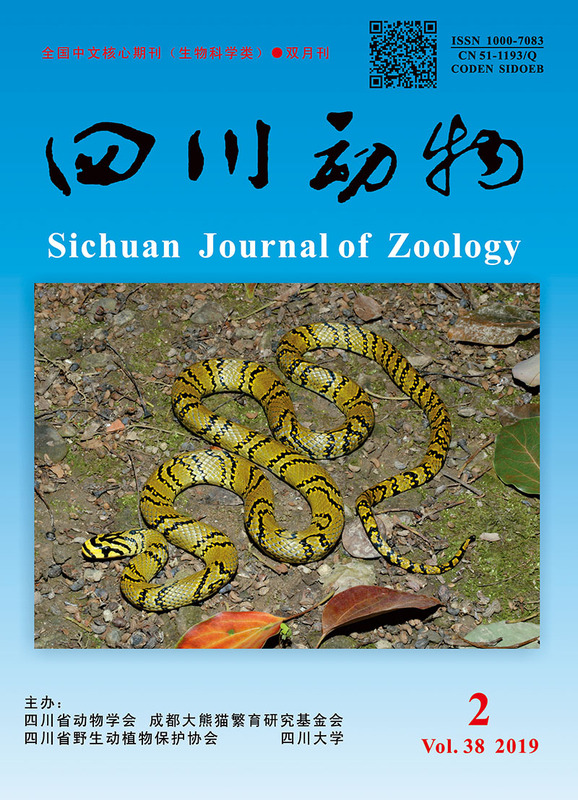 The finding indicated that the reptile fauna in the South China Sea Islands has a close relationship to Hainan Island. It will investigate further in other islands of the South China Sea and reveal in molecular genetics level. 中国科学院北京动物研究所, 中国科学院南海海洋研究所, 北京自然博物馆. 1974. 我国南海诸岛的动物调查报告[J]. 动物学报, 20(2):113-130. 黄康彩. 1983. 我国西沙群岛的蛙和蜥蜴[J]. 两栖爬行动物学报, 2(4):66. 赵尔宓, 江耀明, 黄庆云, 等. 1999. 中国动物志 爬行纲 第二卷 (有鳞目 蜥蜴亚目)[M]. 北京:科学出版社:28-31. 史海涛, 赵尔宓, 王立军, 等. 2011. 海南两栖爬行动物志[M]. 北京:科学出版社:160-162. Carranza S, Arnold EN. 2006. Systematics, biogeography, and evolution of Hemidactylus geckos (Reptilia:Gekkonidae) elucidated using mitochondrial DNA sequences[J]. Molecular Phylogenetics & Evolution, 38(2):531-545. Tkaczenko GK, Fischer AC, Weterings R. 2014. Prey preference of the common house geckos Hemidactylus frenatus and Hemidactylus platyurus[J]. Herpetology Notes, 7(7):482-488. Rödder D, Solé M, Böhme W. 2008. Predicting the potential distribution of two alien invasive house geckos (Gekkonidae:Hemidactylus frenatus, Hemidactylus mabouia)[J]. North-Western Journal of Zoology, 4(2):236-246. Weterings R, Vetter KC. 2018. Invasive house geckos (Hemidactylus spp. ):their current, potential and future distribution[J]. Current Zoology, 64(5):559-573.